Since 1966 Gold Crew has been used to meet health, safety, and environmental obligations business and industry face when producing, transporting, and using petroleum based products. Originally developed for the US Navy's oil spill response*, Gold Crew has been part of a global best management practice for over 50 years. Running a business is never easy, but building a reputation is even harder. Over the years, Gold Crew's products have made huge differences in responding to a wide range of petrochemical hazards. 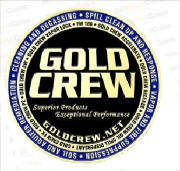 Gold Crew Products increase worker safety during spill response, degassing and cleanup activities by suppressing dangerous vapor and VOC release. 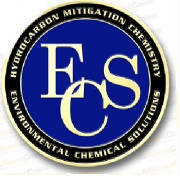 For decades Gold Crew Products have been used in degassing tanks and pipelines. 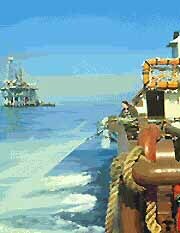 Gold Crew has been used to mitigate hydrocrbon impacts in many various field applications. Gold Crew Products are designed for enhancing biodegradation in spill cleanup and remediation activities. 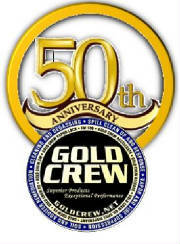 Gold Crew's effectiveness and ease of application have built long term customer confidence and satisfaction. We work internationally with many levels of authority, and users. We hope this site provides the background to our business and explains the goods and services we have to offer in a simple, clear manner. We decided on a less techincal design to navigate through a site to find the information you need. We hope our site is an easy to use portal, providing the information at a glance, and offering easy to follow links to find the data you are looking for. While information is dynamic, much information is not provied here. Please feel free to contact us with your request about the products and services we offer. We look forward to hearing from you.